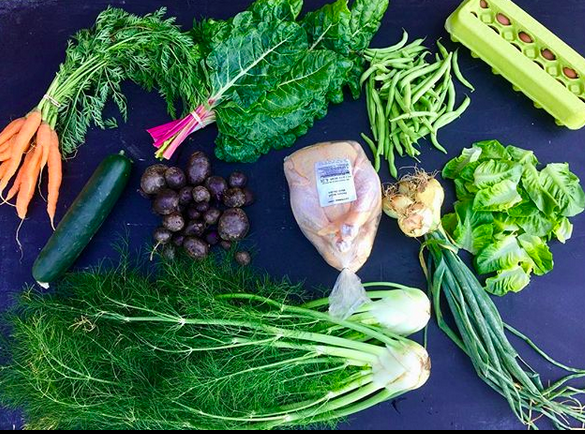 A CSA Share is a subscription service (like the newspaper - but for delicious food). 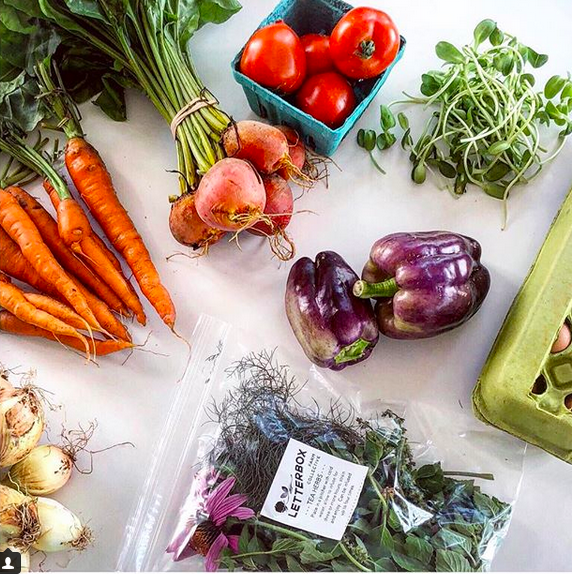 You sign up in advance, and then we assemble a collection of the farm's produce, meat and eggs for you to pick up on a weekly or every-other-weekly basis. We offer shares of different durations (spring, summer, fall, and all three seasons), and accept both up front payment and payment in automatic installments. PRICE DISCOUNT: The total retail value of each box ranges from $60-$70 dollars. Members are saving 10-25% on the goods they would otherwise purchase at retail value. Three-season full-share members receive an additional $100 discount - equal to 2 free pickups. YOU-PICK ACCESS: Members and their families can stop in and help themselves from our herb and flower you-pick garden, from 8 to 5 any day of the week, June - October. We offer a variety of seasonal memberships. Our three-season members stay with us for the whole growing season, April-Christmas. 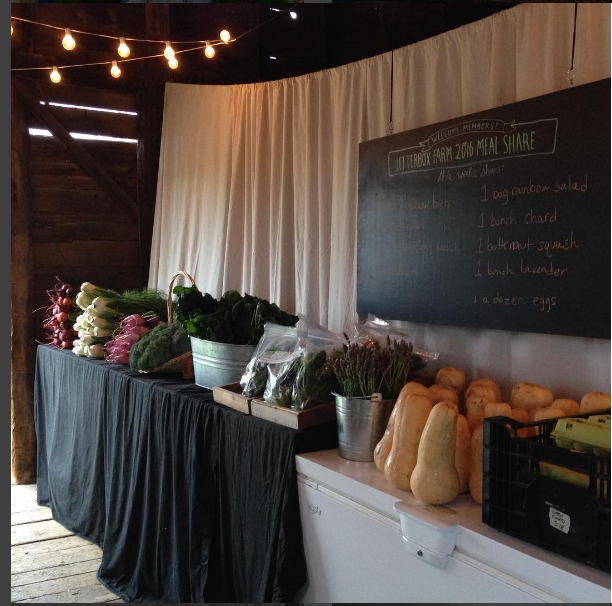 They receive a substantial price discount and access to fantastic produce far beyond the usual CSA and market season. In addition, we offer a classic summer share and two extended-season add ons (shorter shares for spring and fall only). Click on the photos below for more details on each seasonal option. Upfront payment is strongly preferred and provides a huge service to our farm. (It give us critical resources to get through spring planting!) As a convenience to our members, you can also pay for your share in installments, automatic debited monthly (starting at signup). Payment plans are not available for the spring shares or fall half share. Our standard payment method is by online bank transfer, a secure, no-cost, and hassle-free way to pay. Credit / debit cards may also be used, but invoices paid by this method will include an online transaction charge to cover half of the credit card fees (and we’ll take care of the other half!). We will follow up with an easy online payment form for all payment options and methods, within a few days of completing our signup form below. 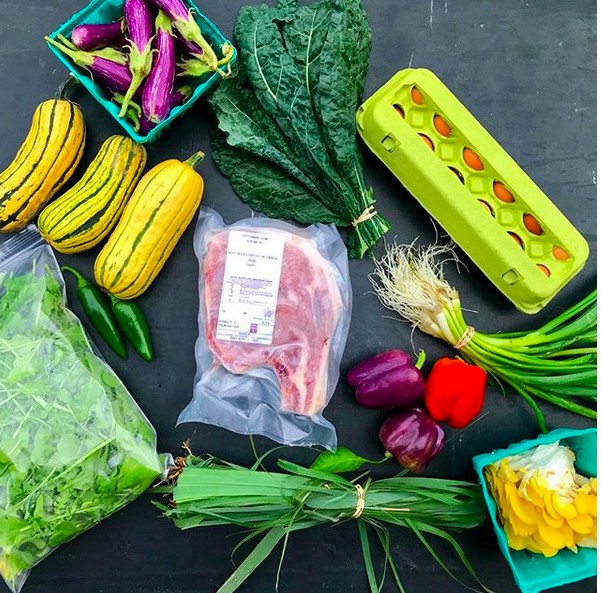 Members needing to skip our staffed Hudson pickups can pickup out of the walk-in fridge on Saturday or Sunday (any time- and you don’t need to let us know). If you need to miss a week entirely, you can send a friend to pick up your share. 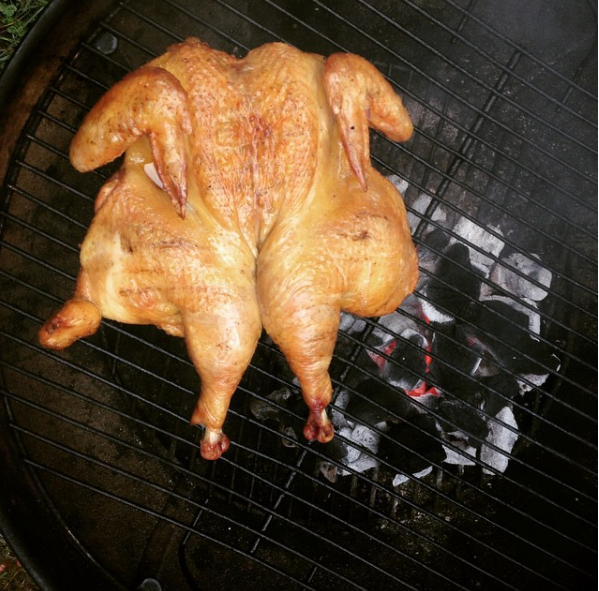 You can choose to gift just your produce (and redeem your meat and eggs another week) or gift the whole thing. 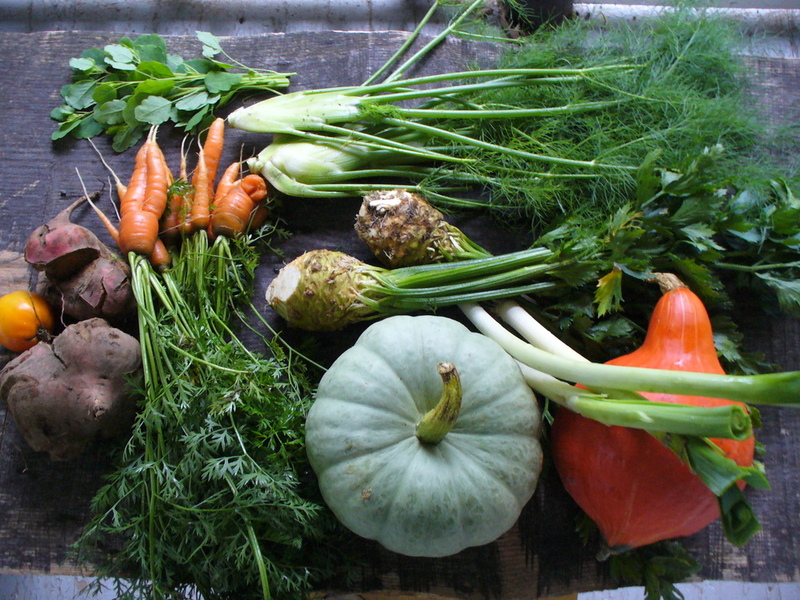 It's a wonderful way to "share your share" and bring newcomers in to the world of local food.